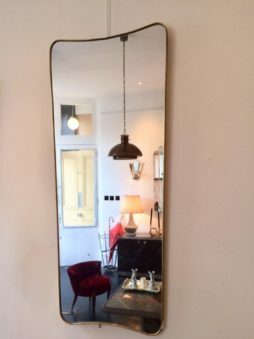 Mid-Century Furniture | Page 8 | Interior Boutiques – Antiques for sale and mid century modern furniture, french furniture, antique lighting, retro furniture and danish furniture. 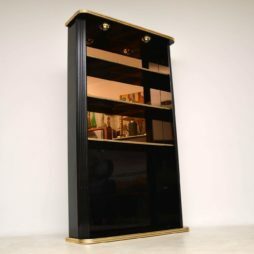 A stunning vintage bar with matching cabinet, this was made in Italy and it dates from around the 1970’s. 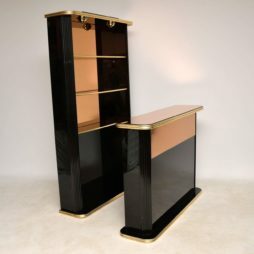 It is of super quality, predominantly made in black lacquered wood, with brass trim with peach mirrored surfaces. 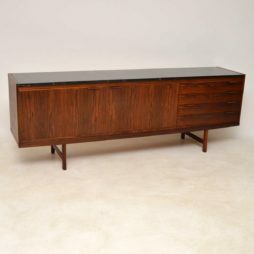 The bar is designed to sit in front of the cabinet, perfect for a home bar or even a restaurant. The condition is excellent, there is only some extremely minor wear here and there. The cabinet has built in spotlights with a discreet switch in the lower cabinet, when we obtained this the cable had been cut, though it can quite easily be re-wired. 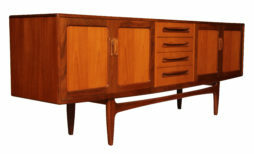 A stunning and extremely rare vintage sideboard designed by Robert Heritage and made by Archie Shine in the 1960’s. This is beautifully made, with an amazing marble top. 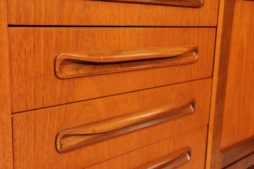 The condition is superb for its age with only some extremely minor wear here and there. It has a lovely original finish, it’s clean and sound with no damage. The wood grain patterns are stunning throughout, the marble top lifts off and it’s a dark charcoal colour with white veins. 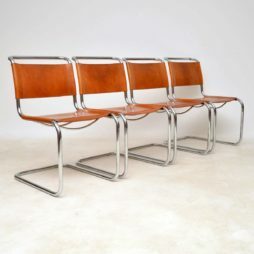 A stunning set of vintage Italian cantilever dining chairs, these are originals by Mart Stam for Fasem, they date from the 1970’s. 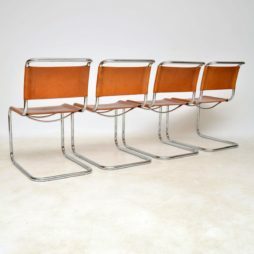 Made from tubular steel and tanned leather, the condition is excellent for their age. There are just a few minor surface marks here and there on the leather, the patina is absolutely gorgeous. They are all sturdy and very comfortable, they all have the makers mark stamped on the underside of the leather. 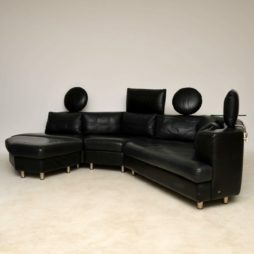 An absolutely amazing and extremely impressive vintage leather sectional sofa, this was made by the high end manufacturer Rolf Benz in Germany, it dates from around the 1970-80’s. This is of the utmost quality, and it is in superb condition for its age. It breaks down into three separate seating units, plus a large footstool. The circular and rectangular headrests are removable and adjustable, they can be positioned anywhere along the backs of the seats. There is also a circular glass table that attaches to the back and can also be positioned in various places. 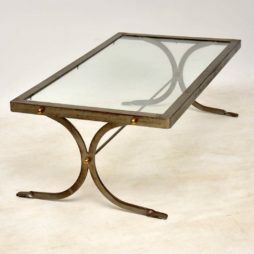 The glass table swivels, it is very thick glass and has a couple of very shallow chips to the edges, barely noticeable at all. The seating sections can be arranged in different ways, this comes with two metal connectors to hold the three pieces together. 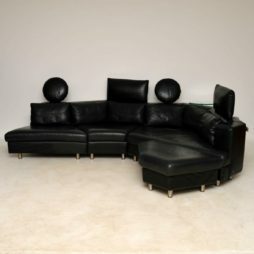 The black leather is beautifully soft and intact, with no rips or tears. 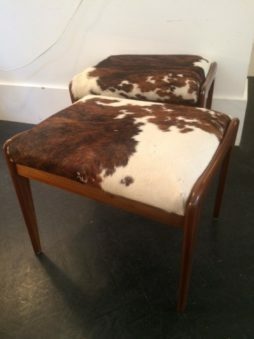 There is just some extremely minor wear to the leather on the large seating unit and the edge of the footstool, again this is barely noticeable. 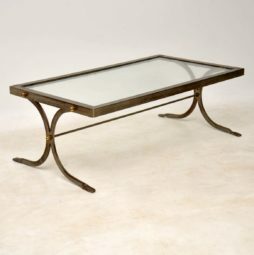 A beautiful and very well made vintage coffee table with an iron frame, brass fixtures and glass top. 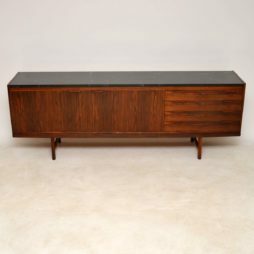 This dates from the 1950-60’s, it’s in very good structural condition. The iron frame is beautifully distressed with heavy surface wear and patina, giving this a great look. 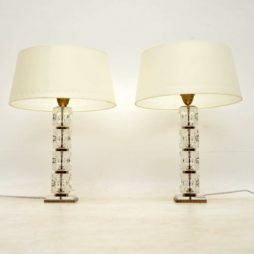 A stunning pair of vintage table lamps constructed from thick glass cubes with steel and brass trim. They are in superb condition for their age with only some extremely minor wear here and there. 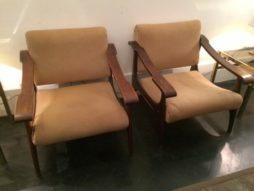 We have paired these with some lovely white shades that have a little minor wear but are overall clean and also in very good condition. These have been newly re-wired and are in good working order. 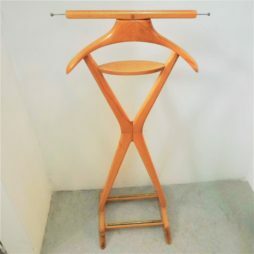 A very stylish Mid century Italian Valet Stand circa 1950 made from birch by makers Fratelli Reguitti. 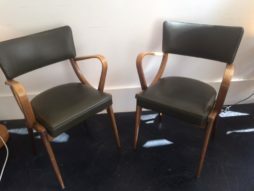 A pair of beech Ben chairs with upholstered backs and seats in subtle dark green leatherette. Designed by V B Wilkins for Gplan. 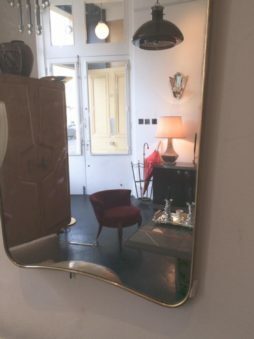 A beautiful mirror with a subtle, wavy brass frame. Italian, ca. 1950s. 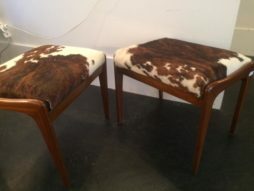 A pair of stools upholstered in white and brown cow hide. 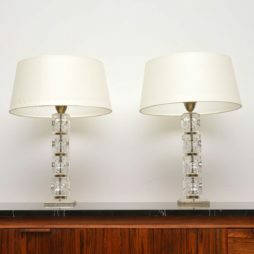 The polished wood shaped frame and tapered legs confer this fun pair an air of elegance. French.